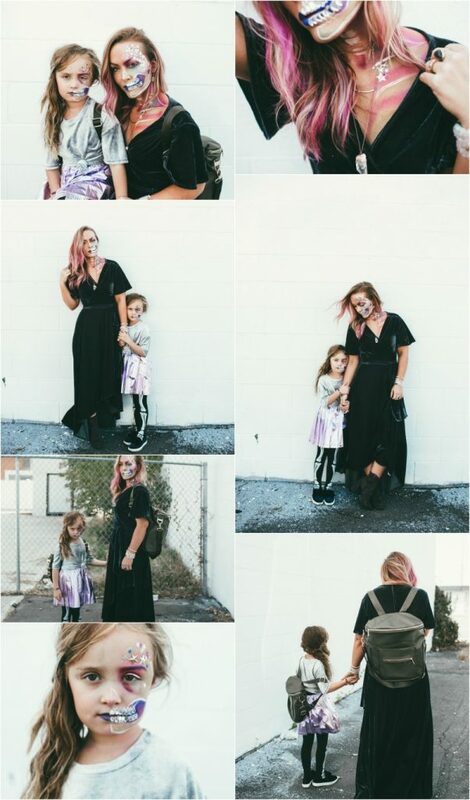 Reagan Jane and I had the best time on our first HALLOWEEN MOTHER-DAUGHTER look back in 2015. How could I not do it again? So, it’s a done deal. No more skipping years. This is officially a tradition for Reagan and me, and I can’t wait to see all these photos compiled together when she is older! Let’s talk about how hilarious Reagan is in these photos, though. She really knows how to get into character. Apparently, skull=pissed to her. HA. 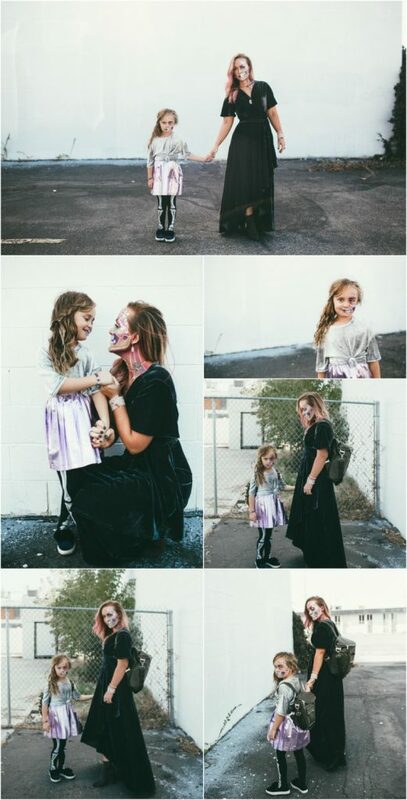 Jill did such an exceptional job on the makeup! She and I had been sending each other ideas for months, and I immediately knew I wanted to recreate this look the second I saw it. I linked the eye-shadow palette that she used for almost all of the color below. Jill was a trooper and bought all the different stars and non-makeup materials at Michaels. Even the diamond teeth. Diamond? Probably more like rhinestone? Or, plastic gem? What about fake awesomeness? My dress was purchased last year, but I’ve seen the identical one on a couple of different boutique sites. I’ve also linked a few velvet dresses below. My shoes are linked below, too. « TRIBUTE CRUCIBLE 2017- never forget!